The leaves are starting to turn. It happened seemingly over night. But Fall is definitely here. In just a few days fall has fallen in New England. I spent a few days in Anaheim and when I got back the leaves had already turned. I love fall in New England. The colors are going to be magnificent this year. Right now the color is subtle. There are some trees already in their full glory, and yet the green of late summer is still dominant. In other places, the color peeks through the trunks of the trees, just giving a hint of what will come. This is my favorite time of year to trail ride because the scenery changes every day. 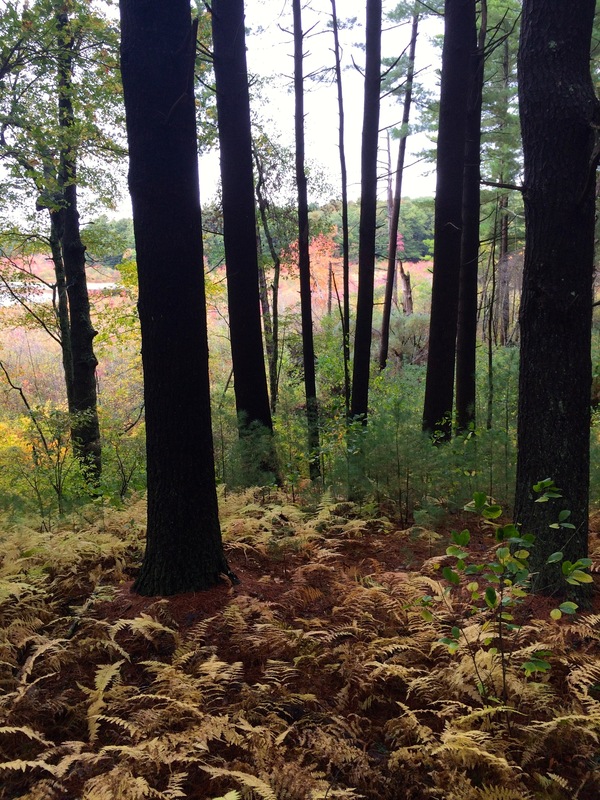 The ferns have all turned yellow and there is a hint of color peeking through the trunks. It’s a treat to ride through the landscape as it changes every day.